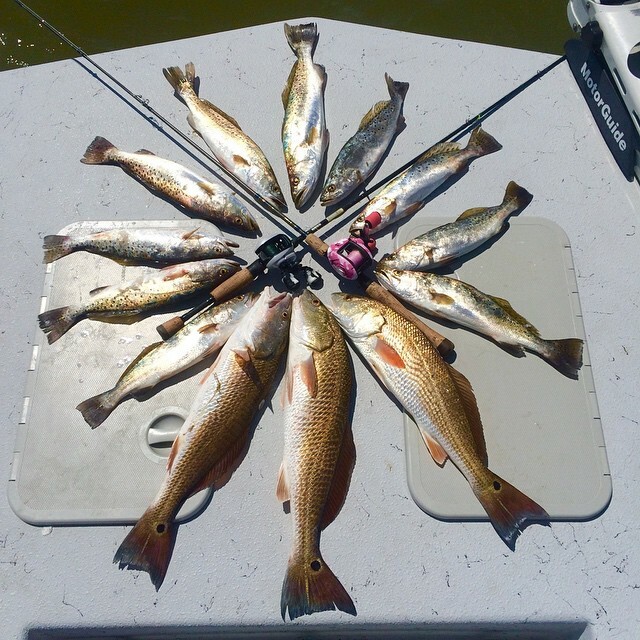 FSU Outdoors takes advantage of the trophy filled waters of Baffin Bay and the Laguna Madre. 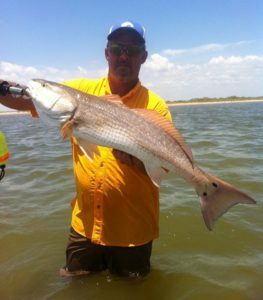 This haven of the Texas coast is loaded with energetic redfish, black drum, beautiful flounder, and monster speckled trout! Here at FSU we primarily wade fish with artificial lures and light tackle. On occasion we will drift or troll, fishing from the boat. Any of our trips can be adjusted to fit you and your group's needs and experience level. It is all about the fun, excitement, and lasting memories! 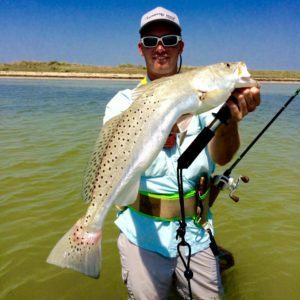 The focus of our fishing style is the pursuit of trophy quality trout and redfish. While a box full of fish is always welcomed, we do not rate the success of our adventures by the number of fish in the freezer. Our ultimate goal is to provide you with an unforgettable experience and the likely opportunity of landing a trophy fish of a lifetime! With that, we ask that all of our anglers practice a little sportsmanship and conservation. As a guideline, we recommend that you release all trout over 25” and reds over 28" unless you plan on mounting the fish. Keep in mind that fiberglass replicas are available and generally last longer than a skin mount. We will make sure to take plenty of pictures to commemorate the event and you will see how great it feels to watch a quality fish swim free to reproduce and keep our fishery healthy. However, we certainly respect you keeping any legal size or amount of fish according to the regulations of Texas Parks & Wildlife. In the event that a trophy fish is kept for mounting purposes, our exclusive, award winning taxidermy studio, HARTWICK WILDLIFE CREATIONS, will certainly produce a quality mount and preserve your trophy. Fishing trips are offered year round and during the fall/winter months we have many combination fishing/hunting packages. 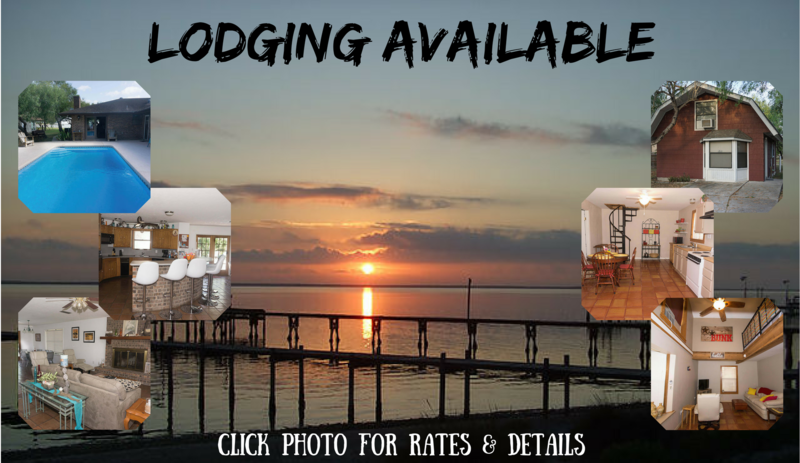 -A rod and reel set up that is in good working condition and that you are comfortable and familiar with. We recommend spooling up with at least 12 pound test line. Also be sure to know how to tie a quality fishing knot. All too often, a lost fish due to broken line is caused by a poorly tied knot failure. If you do not have your own rod and reel, one can be supplied for $15. -A current Texas fishing license with all applicable endorsements and stamps. -A good pair of polarized sunglasses (emphasis on good). Brown, amber or vermillion lenses work best on the flats. Seeing what is happening out there is very important with our style of fishing. -A comfortable hat or cap with a dark lining under the brim. -Wading gear. Depending on the time of year you may need waders, wading boots, a belt to hold your stringer, a good pair of pliers, line clippers, and a good quality wading jacket. When it’s cold outside, staying dry is the key to staying warm. -Snacks and drinks for the boat. We will provide a cold cut lunch, water and Gatorade. You are welcome to bring along any additional food/drink items. Alcohol is permitted in moderation (please no bottles). -Your “A” game. You are going to need it!